Freemasons: plotting in secret to run the world and conceal an age-old conspiracy, or getting drunk and running around wearing a donkey head? 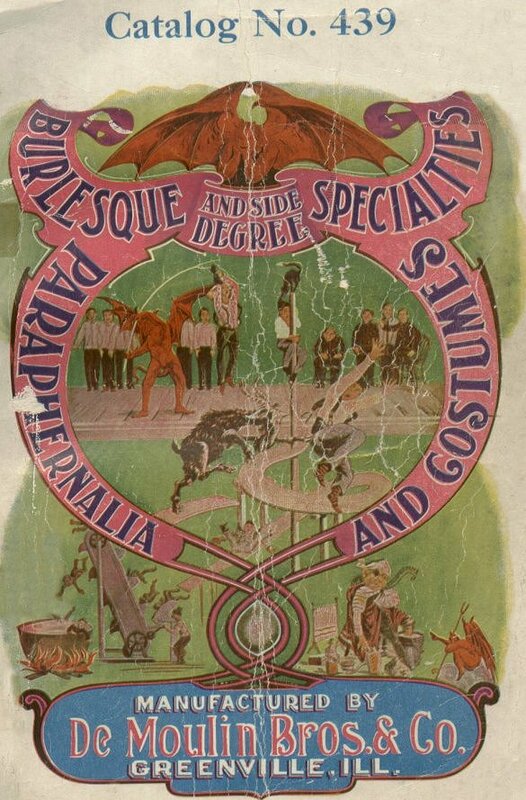 On the evidence of this old catalogue of “Burlesque and Side Degree Specialties, Paraphernalia and Costumes” by De Moulin Bros. & Co., I’m afraid the latter scenario seems much more likely. Sorry, conspiracy fans. OR MAYBE I’M A NWO REPTOID TOO AND I’M IN THE PAY OF THE ILLUMINATI. STAY ASLEEP.